On the 17th day of Rabi’ al-awwal (the 3rd month in the Islamic calendar), Iranian Muslims celebrate two important religious observances: the birth of Prophet Muhammad and of Imam Jafar al-Sadiq. 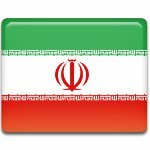 This day is a public holiday in Iran. Muhammad is the central figure in Islam, and the observance of his birthday (Mawlid) is one of the most important holidays for Muslims. According to most of the Sunni scholars, the Prophet was born on 12 Rabi’ al-awwal, so the majority of Muslims celebrate it on this day. Shia Muslims, however, celebrate Mawlid on 17 Rabi’ al-awwal. According to the Islamic doctrine, Muhammad was the God’s messenger and the last prophet sent by God. When he was 40, Muhammad encountered the angel Gabriel, and the first words of the Quran were revealed to him. Although he was initially perplexed by the new experience, Muhammad eventually came to terms with it and began to preach Islam publicly. He met his fair share of hostility during his lifetime, most of the Arabian Peninsula had converted to Islam before Muhammad’s death. The sixth Shia Imam al-Sadiq is believed to have been born on 17 Rabi’ al-awwal, just like the Prophet Muhammad. The Twelve Imams are the political and spiritual successors to Muhammad in Shia Islam. Al-Sadiq in particular is best known as the founder of the Ja’fari jurisprudence which is followed by most Shia Muslims. As Iran is a predominantly Shia Muslim state, the birth of Prophet Muhammad and of Imam al-Sadiq is an important public holiday here.